TopDrawerSoccer.com was created with the mission to provide authoritative, responsible coverage of college and high school aged soccer; promoting the game and the players who play it. Since 2003, the pre-professional soccer system have undergone a renaissance. New leagues, new rules, and reform efforts have been implemented, and to accompany the positive growth in the system, TopDrawerSoccer.com has become more than just a website, it’s now a destination. The home of the pre-professional game. TopDrawerSoccer.com is now the official provider of college and club scores for over 100,000 players and 5,000 teams, ranks over 3,000 players, hosts nationwide TDS Unsigned Showcases, and produces the yearly College Soccer Recruiting Guide. SoccerToday reaches America’s heart of soccer with exclusive interviews and great images. More than reporting just the scores, SoccerToday’s coverage of NPSL soccer goes deeper into action to reveal what is really going on, on and off the field. Launched in 2010 as SoccerNation, SoccerToday covers the soccer news you care about. Real, agenda-free soccer reporting with diverse points of view. Providing original content news, opinion, analysis and podcasts covering lower division soccer and the NWSL. FrontRowSoccer.com covers the New York City region, which includes New York (Long Island and upstate), New Jersey and Connecticut, including national and international stories when warranted. It recently expanded coverage to Rochester, N.Y., where has news about the revived Rochester Lancers outdoor team. Editor Michael Lewis has covered the beautiful game on every level for several decades. A news feed specializing in breaking news, op-ed, and the stories of the day that matter… A lot of journalism, a lot of common sense, and a little snark. “Soccer Down Here” is a radio show and podcast that airs Monday through Friday from 9-11AM eastern live on Blog Talk Radio airing overnights on the ESPN Coastal radio networks. Hosts Jason Longshore, Jarrett Smith, and Jon Nelson explore the soccer scene in the southeast at all levels and divisions with live guests and analysis of the games and events that shape the landscape of the growing game in the US. SDH also simulcasts live action in the spring and summer through their Facebook page and website- which is also a source for everything happening on and off the field. International Soccer Network, LLC is a news agency based in Northeastern Ohio that provides coverage of international soccer via an online format. Professional photographers, writers, and interns provide our readers with an eclectic mix from the soccer world. Our vision is to promote the beautiful game in the United States and Canada, sharing our passion and expertise for the sport. We want to become “Your Source for the Beautiful Game”. Please visit http://www.isnsoccer.com for further information or visit us on social media. Protagonist Soccer is taking the lead in not just reporting about lower league and amateur soccer, but in advocating for their business and community-building interests as well. We are invested in giving a voice to the leagues and clubs across the US who otherwise wouldn’t have one and amplifying the voices of those who do–we are championing the success of the clubs you love. Our writing on results, culture, community and business interests can be found at https://www.protagonistsoccer.com/ and from that site multiple podcasts are accessible which cover those same topics in depth. The beautiful game, minus the hot takes. Soc Takes covers soccer on a global scale, including all the divisions of U.S. Soccer. Founded in 2017, the website provides a variety of content: news, features, interviews, analysis, videos, match previews and recaps. In addition to print and visual content, the site produces a weekly podcast called the Soc Takes Pod with guest appearances from some of the biggest names in soccer. Boxscore World Sportswire was founded in May 2010. It is a division of Stryker-Indigo New York (www.strykerindigo.com). Boxscore was spun-off in January 2018 wherein it was registered as a separate media corporation under the laws of New York State. As part of the spin-off, Boxscore acquired Stryker-Indigo’s Futbol Heritage Archive, one of the premier collections of historic American photo, film, and soccer artifacts in existence. The Futbol Heritage Archive of American Soccer consists of nearly 2,000 artifacts specific to American soccer history dating back to the 1850s. The Archives are expected to be utilized in the future by Boxscore for the promotion of the sport of soccer within the United States. Stryker-indigo, the parent company of Boxscore, is currently working on a series of documentaries on the history of soccer in the United States. These documentaries are expected to be completed over the next 1-2 years. USSoccertalent.com brings you the latest information about upcoming soccer tryouts in the United States and Canada. We help young athletes reach their dream of becoming professional soccer players by connecting them with clubs and talent seekers. “Roots Up Podcast” is a podcast recording under the “Soccer Down Here” podcast tree on Blog Talk Radio. Hosts Riley Maleitzke and Ryan Stallings explore the soccer scene throughout the United States at its most earthy grassroots level, covering national, regional, state and metro leagues with previews and match analysis, guest interviews, club ‘Morning Marks’ highlights, and coverage of the issues that affect grassroots level soccer clubs most. Magic City Soccer is the premier home for soccer coverage in South Florida. Specializing in the NPSL’s Sunshine Conference, Magic City Soccer is the best place to find match previews, recaps, analysis, and interviews throughout the campaign. In addition to the website, a weekly podcast is produced breaking down the key matches and guest appearances from the biggest names in Miami soccer. CentroDeportivo is a bilingual magazine that provides coverage of several soccer leagues in the U.S., as well as the U.S. Men’s National Team. Over the years, CentroDeportivo has been a regular at CONCACAF events like the Gold Cup. In addition to having a printed magazine that has been running for nearly a decade, CentroDeportivo can also boast of being a World Cup attendant, having been present at the 2014 World Cup in Brazil and the 2015 Women’s World Cup. Scratching the Pitch is dedicated to covering lower-division soccer in the United States, where the landscape is constantly changing. We want to bring you the most interesting stories both on and off the pitch, from player profiles to match reports to expansion news and more. Discussion of American soccer starts here because American soccer news happens here. GoalWA.net covers soccer at all levels around the state of Washington, featuring photos, videos, stories and more. 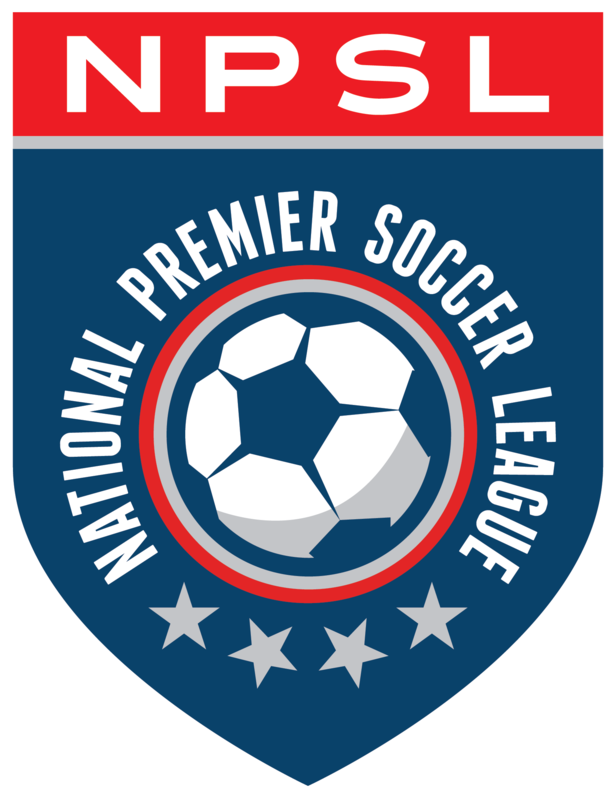 Non League America is the primary comprehensive independent resource for news and information on competitive amateur and semi-pro lower division soccer culture in the United States. Non League America fills a much needed gap in the marketplace providing information from a supporters’ perspective, but with a comprehensive interrogation of the cultural and business environment in which these clubs do business. Non League America is both an informational resource, as well as an entertainment outlet. Our primary audience has an insatiable thirst for knowledge about the state of the game in this country, and NLA peels back the layers for them to get access to information they previously had no means to get.